This level has hard difficulty and you need to use good technique to complete this level. 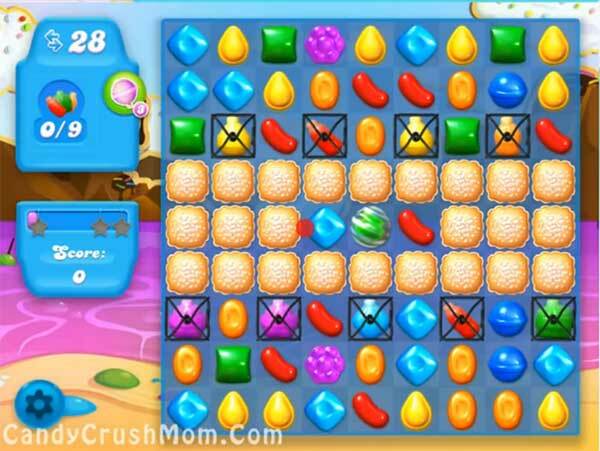 For this level you should try to break the blockers using wrapped candy with colorbomb and use fishes to fill the soda to the board. Try to make more fish special combos like fist with colorbomb to easily complete the 9 bottles order.